The Wabash College Music Department will open its concert season Saturday evening, September 24, at 8:00 p.m. in Salter Hall in the Fine Arts Center. The concert, in conjunction with Wabash’s Homecoming, will feature a festive program of vocal and instrumental music. 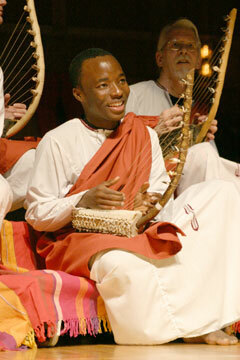 Thrill to the colorful spectacle and vibrant rhythms of Wamidan, the Wabash College World Music And Dance Ensemble. Uplift your soul in a sonorous and stately expanse of sound from the Wabash College Brass Ensemble. Relax and keep your cool while the Wabash College Jazz Band swings through some old standards. And let the men of the Glee Club inspire your hope as they raise their voices with harmony and precision. The Homecoming Concert is free and open to the public. Join us as we begin a new year!